South sea pearls are a beautiful product that you will not find anywhere. They are precious jewels that are in hues of white to golden. This luster of the pearls is what attracts people to it. Try out these stunning pearl jewelry items that are crafted to perfection. Here are the most popular jewelry patterns of South sea pearls for women. This type of pearls suitable for all kind of jewelry things, that’s why these models are most fashionable and trendy. Try out these stunning golden south sea pearl earrings that are so fabulous in colour. 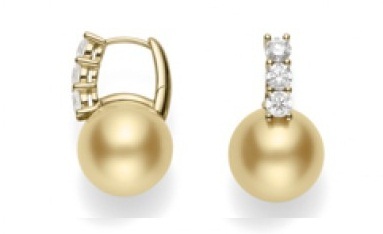 The perfectly round pearls are studded in gold earrings with diamonds encrusted as well. The earrings are hoop style earrings that look quite glamorous. 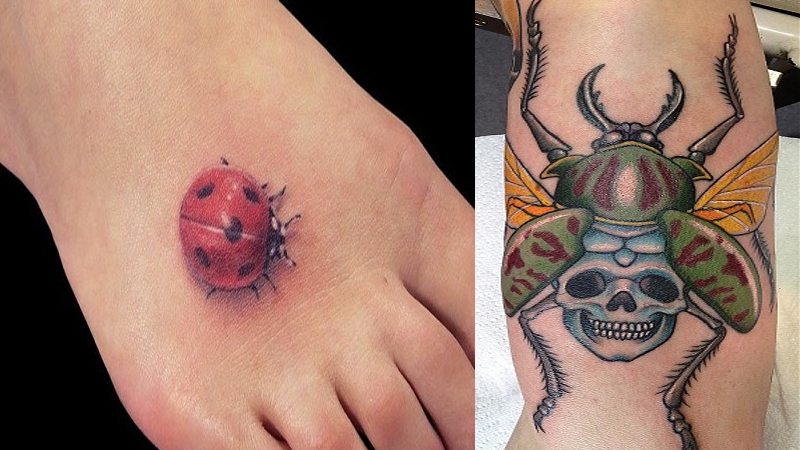 Pair these with fabulous south sea necklace as well. Own a wonderful south sea pearl necklace and you will be the envy of the town. These beautiful and gorgeous pearls are white in colour and AA+ quality at the very least. 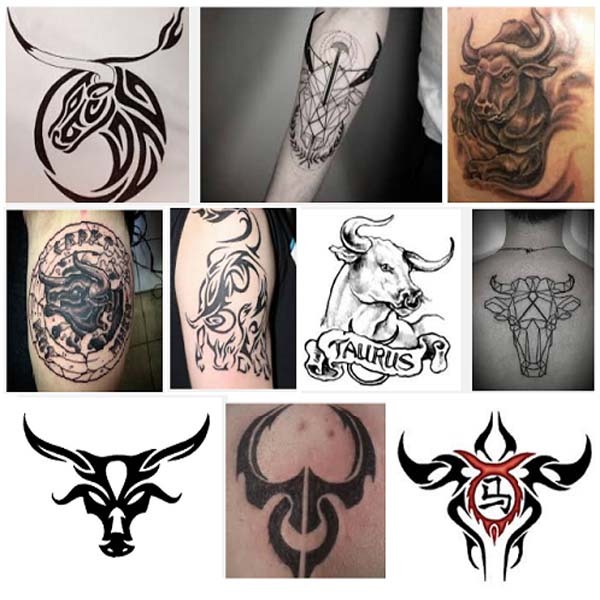 They are strung together on the strong wire to give your neck that glamorous feel. One string pearl necklaces are a classic that will never die. One of the better hues of the south sea pearls is this intense deep golden shade. The south sea pearls give you a radiance that no other sea pearl can do. This extremely stunning bracelet has all the qualities of an expensive jewelry item. You can gift this to your loved one or buy one for yourself. 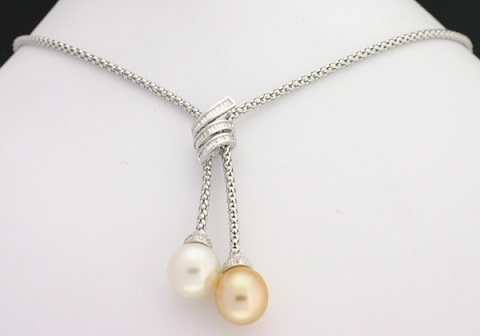 One of the best ways to showcase the golden south sea pearls is to use them as pendants. This way the whole glamour of each pearl can be appreciated. This single south sea pearl pendant along with the pearl chain is a stunning masterpiece. The diamonds add to the richness of this item. A single south sea pearl ring is a brilliant way to show your love to someone. Present her with this exquisite beauty and she will love you forever. 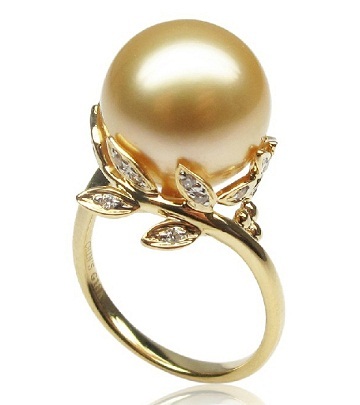 A single south sea pearl in a golden hue is the focal point of this ring. The leaf-shaped filigree with diamonds encrusted in them adds to the charm of this ring. 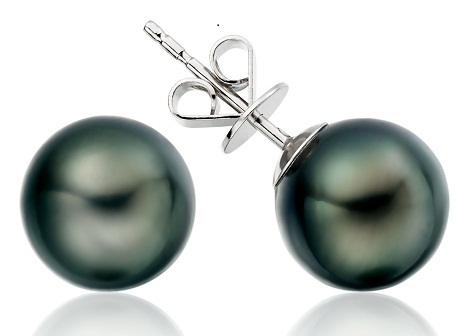 A nice change from the normal pearl jewelry is the black south sea pearls earrings that look extraordinary. This gorgeous colour goes well with most garments and is liked by all. If you prefer the jewelry items that do not conform to the norm then this colour is just for you. Brides love to dress their best on their wedding day. This is the day that they need to look gorgeous and heavenly. Pearls are the perfect jewelry item that is suited for a bride. 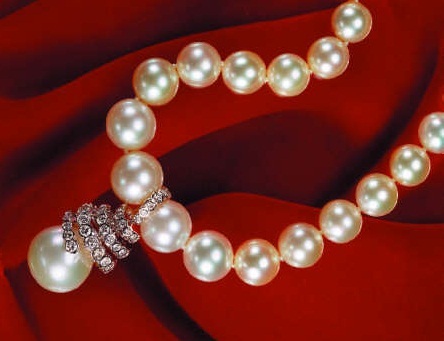 The white of the pearls gives them a radiance and glow. 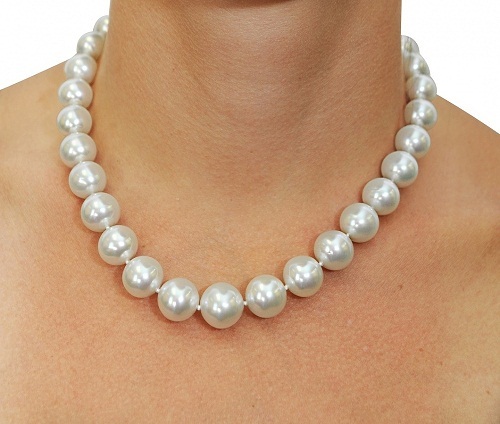 This white south sea pearls necklace is two strands and looks amazing. 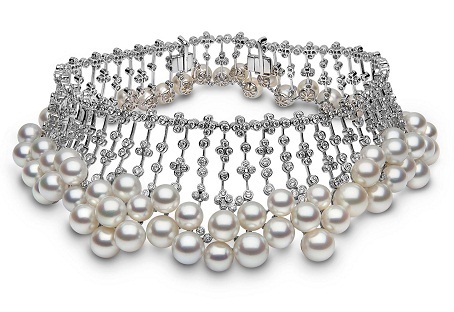 Make a stunning appearance at any event or party with this statement south sea pearl and diamond collar. This collar necklace sits snugly at the neck and gives you a royal look. The diamonds used in the piece are exquisite and the south sea pearls are added in twos. Here is a wonderful twin pearl necklace that has a gorgeous hue. The golden and white pearls together give a chance for you to enjoy the beauty together. 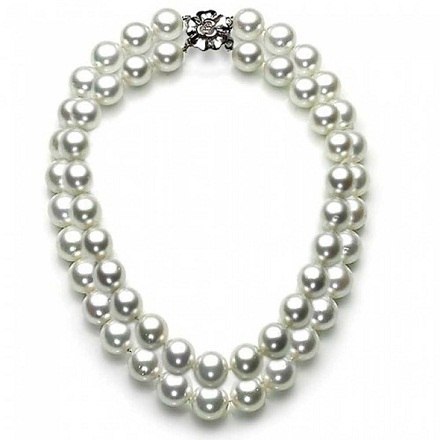 This pearl necklace has diamonds encrusted in it that adds to its radiance. Having both the types of pearls in one necklace is always a bonus. South sea pearl jewelry items range from earring, rings, and bracelets to necklace and chokers. These wonderful south sea pearls are white in colour and also golden. 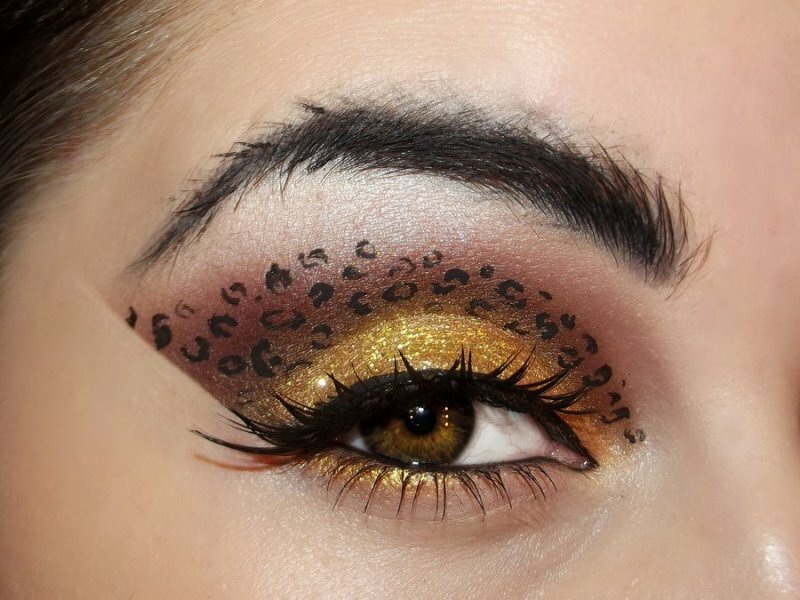 This adds to the charm of the jewelry items.